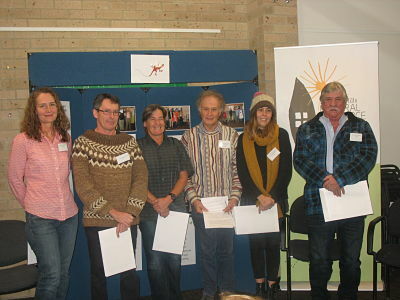 Over the past 6 years, 38 people have received the Quiet Green Achiever Award from the Adelaide Hills Natural Resource Centre (AHNRC) and we are calling for your new nominations for 2019. The award celebrates the people in the community whose actions support the environmental health of the region. People who do this without seeking compensation or recognition. Do you know someone who has selflessly given their time, lives sustainably, shares their skills or inspires others to lead a greener lifestyle? The nominee can be involved in land care, a community garden, a school kitchen garden, perhaps created habitat for wildlife in their own backyard, inspires others to live sustainably – or any other similar activity that you consider worthwhile. Entries close on Thursday 2 May 2019.